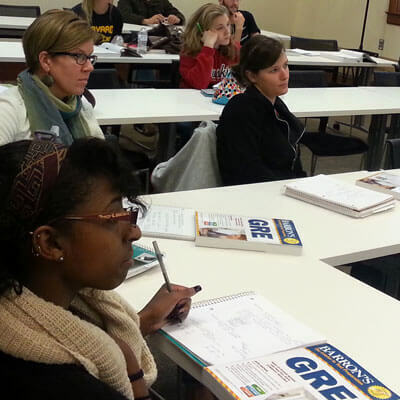 Thanks to a dramatic influx of student interest in the Office of Student Engagement & Experiential Learning’s GRE Basics Workshop, an additional session is scheduled from 12:30 to 2:30 p.m. Friday, Nov. 21, in Altgeld 125. The workshop demystifies the GRE and gives student basic information regarding the test format. The workshop costs $20. As a part of this session, students will receive a GRE Test Prep Book valued at $40. The $20 registration fee must be submitted by cash or check to OSEEL (located in Altgeld 100) before the day of this event. Payments from unpaid registrants can be taken at the door but OSEEL cannot guarantee that a book will be available on the day of the event. If there are not enough books to cover those who paid after the deadline on the day of the event, books can be picked up at a later date. For more information, call (815) 753-8154 or email engage@niu.edu.